Phishing Alert: This mail is from IT Helpdesk. We recently blocked a sign-in attempt to your email Account from an unknown location, someone has used your email Web login mail access illegally and we are taken a proper action to suspend your Web login access till further notice. If you are not aware of this action kindly complete the updating process to secure and keep your email active. 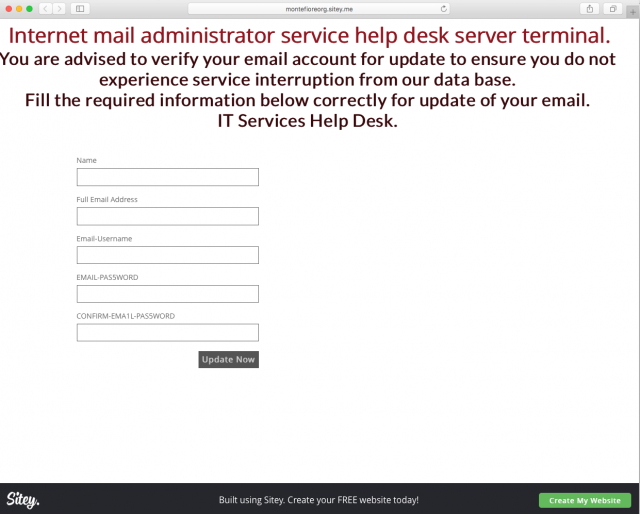 Failure to do so immediately will lead to the disable of your email account from our data base portal. Kindly be warned and act fast to this notification by clicking on the admin link below for verification-update. If unable to click the link below, you are advised to copy and paste it in a new browser.